Skiing is a great winter sport for people of all ages. However as with any sport, there is a risk for injury. For most people, skiing is an activity that they get to participate in only a few times each year. This means the body is not able to remain as conditioned for this activity, which can lead to injuries. Skiing tends to place more stress on the lower body – specifically the knee. This can result in anterior cruciate ligament (ACL) or medial collateral ligament (MCL) injuries. That said, the upper body can also be injured if a skier falls landing on their arm or shoulder. Thankfully there are some exercises that can easily be performed at home to try to decrease the risk of these injuries. Your quadriceps and gluteal muscles are some of the muscles that work the most during skiing. 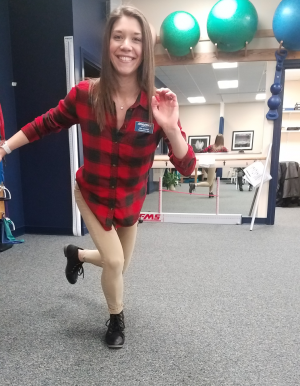 The position of skiing is that of a slight bend in the knee – essentially a squat! Therefore, performing squats is a great (and easy) way to strengthen these muscles. 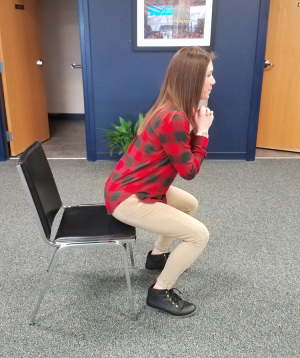 An important part of a squat is making sure your knees do not go forward past your toes; instead think of sitting backward as if you are sitting in a chair. You can even place a chair behind you as a target and reminder. It is also important to note that squats can be made more difficult by holding weights in your hands or performing on one leg at a time. Single leg squats can be started by holding onto a counter to help with balance, with the goal of progressing to a single leg squat without support. For single leg squats, make sure the pelvis remains level and doesn’t drop on either side. Skater jumps are small jumps from one leg to the other, in a side-to-side motion. This is great for skiing as it helps strengthen the muscles along the outside of your legs, which you use to push off the edges of the skis. When performing this exercise, make sure to pause on each leg with a slight bend in the knee. This will help your balance, as well as leg power and strength. An important part of this exercise is to go slow. Slower speeds actually make this exercise harder and work your muscles more! 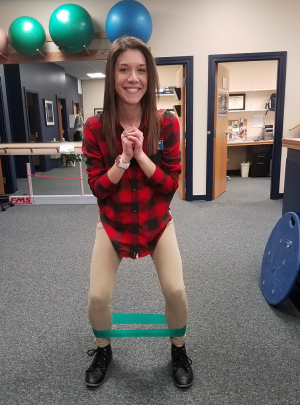 Walking side-to-side with an elastic TheraBand around your ankles or feet is another great exercise for the glute muscles and muscles along the sides of your thighs. When performing this exercise, try to maintain a slight bend in the knees. The more of a squat you are in, the harder the exercise becomes! For this exercise, try to keep your shoulders and upper body still and avoid swaying. You also want to make sure your knees are not falling towards one another. The core muscles are important for skiing, as a strong core will help you change directions quickly. A strong core also provides support for your back. 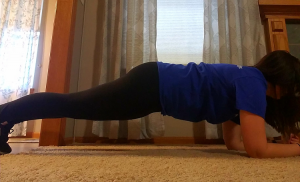 Planks are a great way to strengthen the core. Forward and side planks are great exercises that require no equipment. 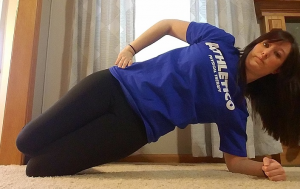 When performing a plank, make sure your arm is centered underneath your shoulder. Planks can be performed on the hands or elbows, and in a full push up position or with the knees on the ground – depending on your comfort level. Planks can also be progressed in difficulty by altering the position as indicated above or holding the plank for longer periods of time. Skiing is a great activity for people of many ages. Strengthening exercises for the legs and core are great ways to prepare your body for the demands of skiing, which decreases the risk of injury. Performing cardio several times each week is also recommended to prepare your heart for the demands of skiing. 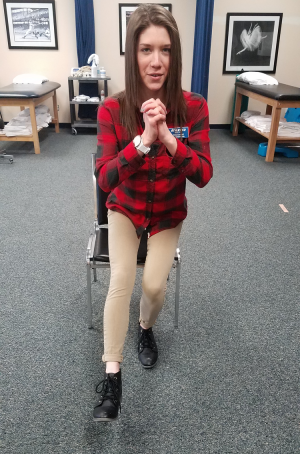 Should unusual aches and pains occur after skiing, make sure to schedule an appointment at a nearby Athletico so our physical therapists can help you heal. “Tips to Prevent Skiing-Related Knee Injuries.” American Physical Therapy Association, 28 Dec. 2017, www.moveforwardpt.com/Resources/Detail/preventing-skiingrelated-knee-injuries.1.